Beautiful grounds can also mean complex care. 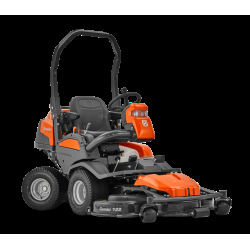 With one of our front deck mowers you will tackle your task with powerful front rotary action and a low cutting profile. The unique articulated steering offers unbeatable manoeuvrability and trimming ability in narrow and complex areas. 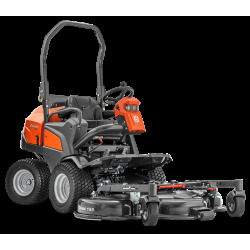 Husqvarna's commercial front deck mowers are equipped with a front-mounted and low profile cutting deck. It will provide you with an excellent overview of the working area, enabling precise, close-up trimming. It also gives you unbeatable accessibility under fences, bushes, park benches etc.